On this page I’m adding pictures from Kuwait and things that I have drawn myself. This is a place in the desert that I felt power from. 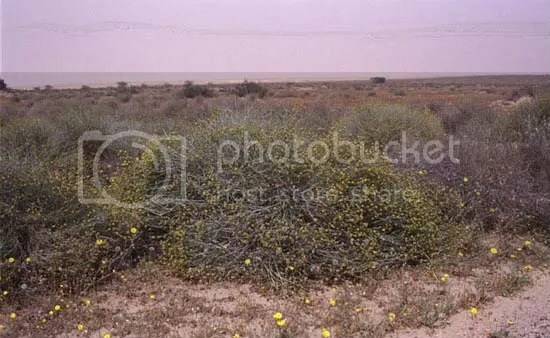 This is the National flower of Kuwait. This is my vision of The Morrígan. 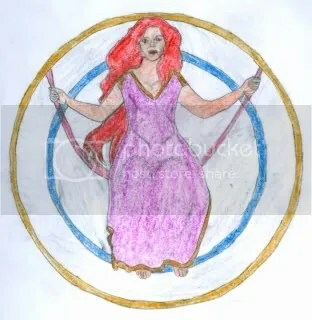 And this is my vision of Lugh. That is because it is only one of the three LOL. 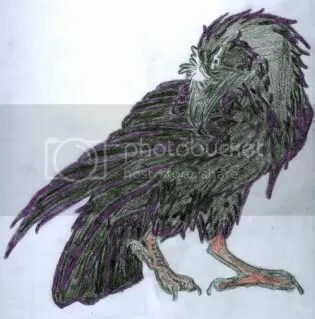 love the raven pic. also like your book reviews and study program. Only a little Irish Gaelic, but I am learning lol. The raven is beautiful! You did an excellent job. Lugh is without barb in reality… is not? 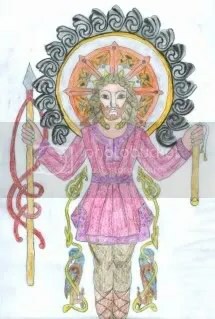 A question for a scholar: I am a bit confused about the Otherworld where the Irish Celts went and the Underworld where the Tautha De Danann were vanquished to by the invading Milesians. Am I correct in thinking that these are two different worlds?